In accepting the Jimmy V Award for Perseverance at the 2018 ESPYS, Pro Football Hall of Fame quarterback Jim Kelly urged fans Wednesday night at the Microsoft Theater in Los Angeles to make a difference in others' lives by keeping a smile on their face. Kelly's award was presented by ESPN broadcaster Chris Berman, as well as fellow Hall of Fame quarterbacks John Elway and Dan Marino, who along with Kelly were selected in the first round of the 1983 NFL draft. Kelly was accompanied to the stage by his daughters, Erin and Camryn, and he thanked each for their support during his ongoing battle with oral cancer. "Every single time [Erin] walked into the hospital, not one time did she ever have a frown on her face," Kelly said. "It was always, 'Daddy, you look so good. You are so cute!' And she would give me a hug. My daughter Camryn, so many times she would hug me and I didn't want to let her go. Even today, when she hugged me, I didn't want to let her go." The former Buffalo Bills quarterback, who led the team to four consecutive Super Bowl appearances from 1990 through 1993, urged fans to offer the same positivity to others in need. "Make a difference today for someone who is fighting for their tomorrow," Kelly said. "When I look across this arena, and when I talk to people, you don't need to be a Russell Wilson or an Aaron Rodgers to make a difference out there. Every single person in this room can be a difference-maker. You can be a normal person that gets up every morning and goes to work. But you can be a difference-maker, putting smiles on those faces. "My kids, my friends when they came in to see me, not once did they ever have a frown on their face. So I just urge everybody out there, if you have somebody out there who is suffering -- it doesn't have to be cancer -- it could be somebody not having a good day. It could be your mom or your dad. It could be your grandparents. What you say to them, the smile that you have on your face, that could be the difference in them making it to the next day. Remember that. Always, always persevere. Like Jimmy V said, never, ever give up." An emotional Kelly took the stage after viewing a video remembering his son, Hunter, who died in 2005 of Krabbe disease. "It is never easy watching video about my son. So many times I've dreamt and continued to dream about my son, Hunter, and what he's meant in my life, and will never stop," said Kelly, who also thanked his wife, Jill, during his speech. 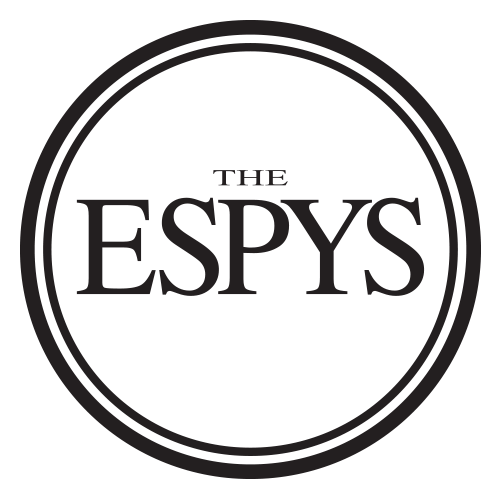 The Jimmy V Award, named for former North Carolina State men's basketball coach Jim Valvano and sponsored by Bristol-Myers Squibb, has been presented at the ESPYS since 2007. While battling cancer in 1993, Valvano gave an emotional acceptance speech for the Arthur Ashe Courage Award that included his now-iconic words, "Don't give up. Don't ever give up." Kelly, 58, continues to recover from March surgery to remove oral cancer discovered in scans earlier this year and to reconstruct his upper jaw. Kelly first had surgery to remove squamous cell carcinoma found in his jaw in 2013 and later underwent chemotherapy in 2014 when the cancer returned in his maxillary sinus. At his football clinic on Tuesday in Pittsford, New York, Kelly said he will travel to see his New York City-based doctors during the second week of August for an unexpected "checkup" after "something came up" in his recovery from his oral surgery.